1. – How can I become a patient at Sanoviv? The first step is to speak with one of our friendly admissions coordinators who will answer your questions and help you to begin the process. You will be asked to fill out an online medical history form so we may evaluate your case and determine if you are a candidate, and also to indicate which of our programs is the most suitable for your case. With certain health conditions, a second step consists of a medical phone consultation with one of our treating doctors who will explain possible treatment options with you and evaluate your condition for admission. Other steps may also be necessary before you receive final approval for admission. Once you are approved, your admissions coordinator will assist you in booking your reservation. 2. – How much notice time do I need to book a reservation? We recommend that you book a reservation at least two to four weeks before your desired arrival day to make sure there is an opening. Rooms fill up quickly, so please call early to make sure you are able to get in. Your admissions coordinator will assist you in finding the best available dates. 3. – What do I need in order to book a reservation? Admissions will request a minimum $500 USD deposit with a credit card when you make your reservation. Some people prefer to put down 50% or even all of the cost of their program so they don’t have to worry about it later. The $500 deposit is not refundable, but is fully transferable to another date or person. 4. – Do you accept arrivals any day of the week? Medical patients can generally make their reservation to arrive any day of the week. If possible, it’s best to arrive on a Sunday, Monday, Tuesday or Wednesday. Some non-medical programs have specific start dates. Please check with your admissions coordinator for details. 5. – When do I need to pay in full for my program? Complete payment is required 30 days before arrival. Or, if you are making your reservation less than 30 days in advance, full payment is due when you make your reservation. 6. – What payments methods do you accept? We accept credit cards (Visa or Master Card), bank’s cashier’s check, and wire transfers only. 7. – Where is Sanoviv located? Sanoviv is located just South of Rosarito Beach, Baja California, Mexico, approximately a 60-minutes drive from the San Diego International Airport in California, USA. 8. – Do you provide transportation? Your Sanoviv program includes transportation to and from specific locations within the San Diego area, including the airport, bus station, train station, and some San Diego hotels. Our shuttle hours are 9am to 5pm, however other times may be arranged if circumstances require. All transportation reservations must be made in advance. 9. – May I bring a friend or a family member with me? Yes. Medical patients are allowed (and encouraged) to have one companion. The companion fee is only $100 USD per day. Companions share the room with the patient (a separate bed for the companion is available). Meals and clothing are included and companions have access to the pools, sauna and all of the regular classes we have available at Sanoviv. We do not permit companions for guests who are on a healthy retreat, education, or other non-medical program. In these instances, friends and family are welcome to join the retreat at the regular program price, based on availability. 10. – Do I need a passport to go to Mexico? USA and Canadian citizens will require a passport. Other nationalities may require a passport AND US Visa or Mexican Visa. For more information, or to check the requirements in your country, please contact the Mexican consulate to learn the requirements to enter Mexico. 11. – Does Sanoviv accept insurance? Sanoviv does not directly deal with insurance companies because most insurance companies will not accept direct billing from facilities outside their home country. However, many companies will reimburse for international medical services. The only way to know for sure is to contact your insurance company and read your insurance agreement. If you have health insurance, please check with your insurance company to see if they pay for treatments in Mexico. If they agree to pay for the services, you will pay for your Sanoviv treatments in advance, then after you are discharged from Sanoviv, submit the bill to your insurance company for reimbursement. Please request the appropriate forms from our accounting department at the conclusion of your Sanoviv stay. Most people submit these claims on their own. 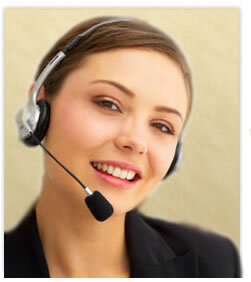 Others use a 3rd party medical billing company to assist with this process. Medical billing companies will often prepare your records, add medical coding for your home country, and file the claim to your insurance company. They follow up with your insurance company to track the claim and respond to inquiries. Most of these companies charge a percentage of your reimbursement. We don’t recommend or endorse specific companies. They can be found by typing “insurance billing agency” into any search engine. Please do your own research to make sure you are dealing with a reputable company. If you have private insurance and have paid out-of-pocket for your medical expenses at Sanoviv Medical Institute, American Medical Health Alliance can potentially help you obtain a reimbursement for some of your treatments. Since 2007 AMHA has worked with patients who have Lyme disease, cancer, or other ailments, who did not even think their insurance could be an option. Keep in mind every insurance company is different and there are no guarantees of a successful insurance payment. Each insurance company sells many different policies and each policy will have a different benefit structure. That said, we have successfully collected thousands of dollars for Sanoviv patients. For a FREE evaluation of your insurance and to discuss how the process works contact AMHA directly at 1-800-221-0817. 12. – Does Sanoviv offer financing to help me cover the cost of my program? At Sanoviv, we focus on what we do best – helping you achieve your optimal health. We do not have a lending license that would permit us to offer loans, nor do we have direct access to foundations or other grants, although we encourage you to research what may be available in your local area. If you need additional financing assistance, we recommend that you contact your local bank or credit union. They will typically have the best rates and terms available. Many of our guests have found that the best way to finance their medical treatments at Sanoviv is to have a fundraiser, requesting help from family, friends, and associates. Please ask your admissions representative for suggestions on how to do this. Some of our guests have worked with the following companies to help finance their Sanoviv visit. These companies are not associated with Sanoviv and Sanoviv does not receive a fee if you use their services. Medicard at https://www.medicard.com/credit_application.php Choose your ideal terms from 6 months to 5 years. Medicard will pay Sanoviv directly. 13. – Do you accept children as patients? The minimum age required to be a patient or guest at Sanoviv is 16. 14. – What amenities are included in my room? Each room is an oceanfront suite including a large balcony overlooking the Pacific Ocean. The living area of the room includes a couch and love seat, along with a queen size bed. A television is included in each room, with limited access to certain channels, so that you are not distracted from your detoxification and treatment. Some suites include a companion room that consists of a single size bed, desk and closet. A large, private bathroom is included in each suite. 15. – Can I leave the Sanoviv premises during my scheduled program? Sanoviv guests and their companions are required to stay on site for their entire visit to enjoy the many amenities that are offered. 16. – Do I have access to WIFI? May I bring electronics to communicate with family and friends? To reduce guest exposure to electromagnetic frequencies, WIFI is not available in guest rooms. However, we realize that you will want to communicate with family and friends. For this purpose, our communication center has free WIFI as well as two computers available for your use. This allows you to access to these tools and yet minimize electromagnetic interference with your healing. The communication center is located in the mansion building near the mansion kitchen. You may also choose to bring your laptop, tablet, or cell phone. However, please remember that use of these electronics is limited to the communication center or your private guest room only. Cell phones or other electronics are not permitted in other areas of the hospital, including dining areas, medical treatment areas, grounds and pools.